The Farm offers a wide range of activities besides the usual expected from a establishment like this. 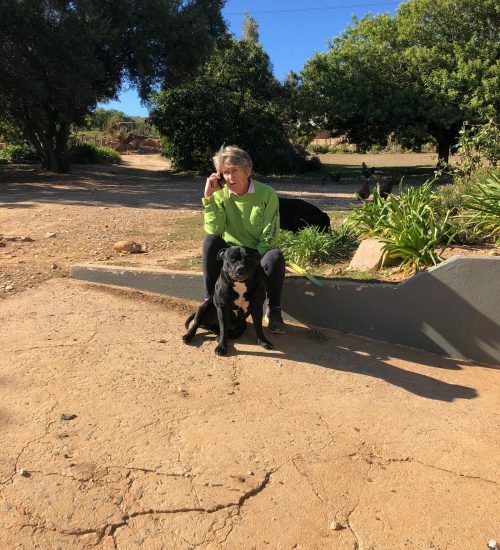 You can also rest assured that your hosts, especially your hostess, Maggie Fourie, will do everything possible to make sure that you enjoy the farm and its offerings to the utmost. Read more about the farm below. Oudemuragie offers you the luxury choice of five different cottages. All these cottages are fully equipped and each of the kitchens are equipped with all the necessary utensils, microwaves, stoves, fridges, toasters, irons, etc.The cottages are also very aptly named in true Klein Karoo style – giving each one of them an unique character. 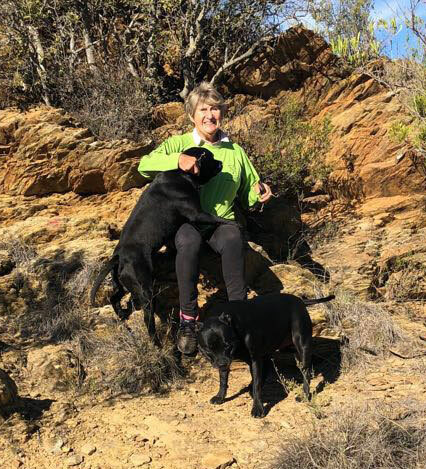 The combination of your hostess, Maggie Fourie, and the unspoilt nature on the farm has to lead to the establishment of various hiking trails on the farm allowing you to experience some of the most breathtaking views imaginable. In most cases Maggie will accompany you showing you exactly what the farm has to offer. The Farm offers a wide range of activities besides the usual expected from a establishment like this. You can also rest assured that your hosts, especially your hostess, Maggie Fourie, will do everything possible to make sure that you enjoy the farm and its offerings to the utmost. It is no wonder that all the accommodation facilities on the farm are fully booked, long in advance, for the annual Klein Karoo National Arts Festival. One only has to look at the visitors book to realise the extent of guests experiences on the farm. Maggie is a native from the region having grown up on a family farm on route to Oudtshoorn. She has been very active in athletics and ball sports from a young age and managed to play for the Boland hockey team. In her later years Maggie and Jan moved from Stellenbosch to Johannesburg where she pursued an successful career in teaching at Laerskool Horison for approximately 20 years. Her athletics, netball and gymnastic teams were a force to be reckoned with; both on a provincial and national level and her pupils speak of her often with great admiration. In 1999, Jan and Maggie bought Oudemuragie Guest Farm and have been farming in the area ever since. Maggie is well known by local business and neighboring farms, and her hospitality truly defines that country feeling. Oudemuragie Guest Farm invites you to experience a true Karoo birdwatching experience. A variety of different bird species are found on the site and here we represent Southern Africa’s birdlife at its best. Amongst them you’ll find the famous Weaver, building its nest, hanging from the branch of a Thorn Tree.